My Goodreads Giveaway is now open! Giveaway ends February 14, 2016. I also wanted to add this link to Bookworms for Kids Blog. It's a wonderful resource for young readers and their parents. Goodreads Giveway - Enter Below for a Chance to Win! 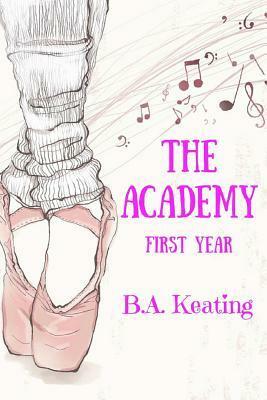 Would you like the chance to win a singed copy of my second children's book 'The Academy - First Year'? Click on the Goodreads link below and enter for a chance to win. Happy New Year!! I hope you all had a blissfully magical Holiday season and that 2016 is treating you well, thus far. Have you made any New Years resolutions? I didn't make any as such, just an objective to do more of the same in 2016: more writing; more reading; more creating; more laughing; more time spent in nature; more advocating for those without a voice, and more time spent with those I love to be around. I did, however, take a moment to write down a list of all the things that I did NOT want to drag into 2016 with me - it's time to let that negativity go! In with the new and out with old, that's what I say. Thank you to all my reader friends for your support in 2015. I am hoping to get back into my writing room this week and continue working on my third children's novel 'The Wood at the Bottom of the Garden Gate' which I look forward to sharing with you all this Summer. ​Wishing each of you a year filled with laughter, love, friendship, luck, inspiration, and peace.